Jason Kelce is already a Philadelphia legend, mostly for his amazing Super Bowl parade speech — and, yes, his high level of play. But Kelce is also one tough SOB, not that it was ever much in question. 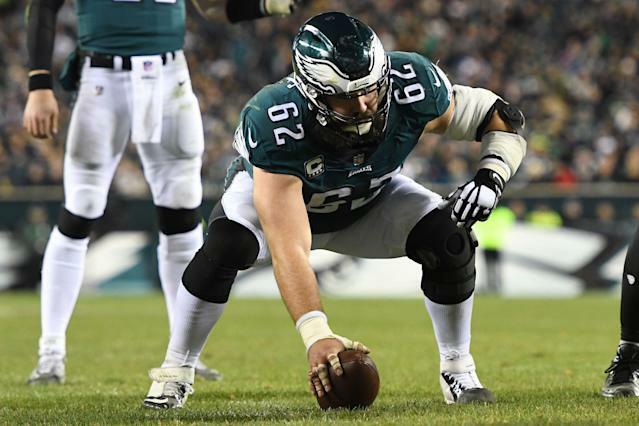 The Eagles, like many NFL teams, opened their offseason program on Monday, and made three players available: Carson Wentz, Zach Ertz and Kelce. When it was Kelce’s turn, he revealed that he played through three significant injuries last season: a broken foot, something he called a “torn elbow” that required him to play with a substantial brace, and a Grade 2 MCL tear. He did not require offseason surgery for any of the ailments. Oh, and for the record, Kelce started every Eagles game and was the first-team All-Pro center last season, which means 50 Associated Press voters chose him as the best at his position in the NFL.